The 2010 PokerStars.net EPT Berlin came to an abrupt halt in the action around 2:30 p.m. local time on Saturday when a group of armed men raided the Grand Hyatt Hotel in Berlin where the tournament is being held. The men were after money and no one was seriously injured in the incident. After a small group of people came running down the long hallway toward the media room upstairs on the second floor of the hotel in a stir of commotion, some of the members of the media walked the other way to see what was going on. People soon noticed that two masked men were fighting with security guards at the opposite end of the hallway. One of the men broke free and began running down the hallway toward the media members with what looked like some sort of weapon in his hand. He was wearing a black winter jacket and a black ski mask. Members of the media ran back to the media room where the group barricaded themselves and stayed until things calmed down. On the other end of the hallway, next to where the men and security were wrestling near the tournament ballroom, mass hysteria ensued. Sam Chartier recalled Johannes Strassmann bursting through the doors back into the room leap frogging chairs and tables and yelling in German. Although Chartier said he couldn't understand what Strassmann was saying because of the language barrier, he noticed that everyone who did understand him was panicking. Tables were flipped so people could hunker behind them while chips flew all over the floor. Players, staff and media in the ballroom took cover and then began frantically making their way to the back corner of the room to an exit. After about 15 minutes of mayhem in the tournament area, things began to settle down while the tournament room itself looked as though a tornado had whipped through it. Hundreds of players, staff and media were scattered in the lobby of the hotel and outside on the streets awaiting confirmation that things were safe. A few people had some minor bumps and bruises from the stampede that tried to exit the room, but no one was seriously injured. Rumors quickly spread that five or six men armed with guns, knives and machetes raided the building in attempt to steal as much cash as they could. Whether or not this is all true, we don't know for sure yet. PokerStars released an official statement about the incident: "An armed robbery by six men took place today at EPT Berlin. Nobody was seriously injured. We hope to re-start all events at 4pm local time. A police investigation is underway. If you have video footage or photographs that could help the police, please contact the EPT organizers as soon as possible." 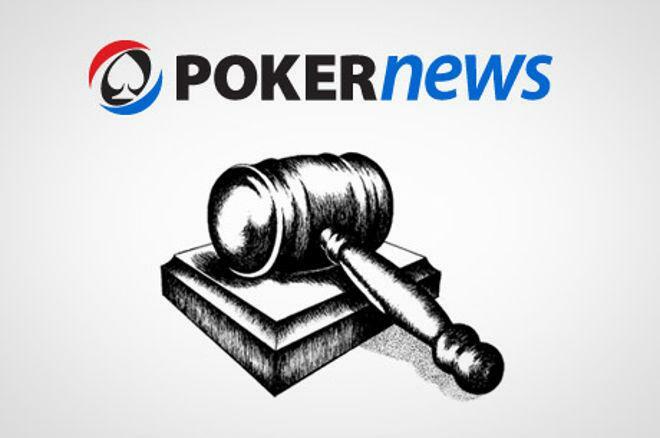 Security, police and the tournament staff worked to gets things squared away and to attempt to resume all tournaments by 5:00 p.m. local time, You can find all coverage and latest news from the event on PokerNews. A police investigation is also under way. As a result, the participants for the €1,000 side event and ladies event had the option to get a refund because of the circumstances. The €1,000 side event has been canceled while the ladies event has resumed play. Updated - 2:45 p.m. PST with a new video that includes comments from German Police. The Nightly Turbo: Seiver Wins LAPC High Roller, PokerStars SCOOP Schedule Revised, and 2M2MM Cancelled?